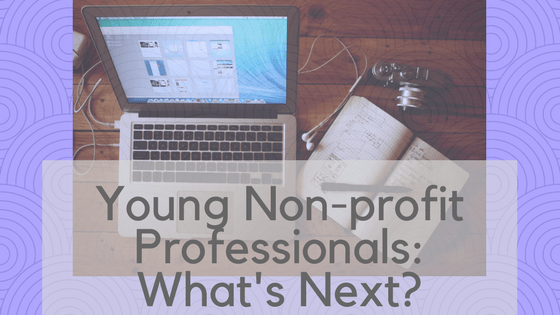 Young Non-profit Professionals: What’s Next? I checked off the final box, “JOB,” in July 2016, two months after my graduation from college. I dove into my first year of nonprofit work with some trepidation (you can read about my first 90 days here) and after 1.5 years in, I feel that I am aware of others’ expectations of me and comfortable with my responsibilities. This checklist conquered, I find myself restless. From 1999 to 2016, I was focused on the long term goal of eventually obtaining a job and I neglected to plan after that. Though at any point in this range of years, I would have defined this moment as “success,” I realize that it’s now time to plan the next stage of my life. This is how I found myself at the ASAE Women Executives Forum in Washington, D.C. on November 14, 2017. Our speaker was Kathy Korman Frey, the founder of the Hot Mommas Project, an organization providing resources to inspire ambitious women to excel. The foundation of these resources is the free Case Library, which houses the stories of women from all over the world who have reached their definition of success, from a woman who overcame alcoholism to likening navigating life’s curveballs with “the bend and snap,” a move coined by the 2001 movie Legally Blonde. There are currently 338 case studies available for perusal with periodic Case Study Competitions to expand the collection. Building off of this library, the Hot Mommas Project completes research on successful women and disseminates data and analysis in courses and workshops. Drawing on her experience as the Founder of the Hot Mommas Project and a lecturer in George Washington University’s Business School, Frey spoke about encouraging entrepreneurial thinking. One of her key points was the necessity of identifying and developing several mentors to help guide one’s career. In response to this, I remember looking around the room and seeing 100 women who owned their own businesses or served as the heads of organizations. This was evident not only by their nametags, which listed organization and position, but by the way that they carried themselves: they wore power suits, talked about taking regular international vacations and, during the small group activities, provided insightful responses honed through years of experience. I have never been in a room with that many high-achieving women before and I realized, whilst sitting among them, that I have the potential to go on and be an Executive Leader. I also realized that, as Frey suggested, I need to identify some mentors to help me create a new checklist focused on my next big adventure: my career. Do you have a mentor? How has a mentor influenced your career? Please share in the comments below. Next PostNext Acronyms for Non-profits? YMMV.